Hey Snowballers! By now, there should be five of you--congratulations on arriving to your second location! Here we are at 4100 Bar--a hipster dive cloaked in velvet red curtains and leather chaise lounges, completely apropos of Valentine’s Day. So go ahead and grab a seat with the team and put the money we’ve provided towards a round of drinks. It’s 2018, Snowballers, and we have become inundated with an influx of content! How many of you have curled up on the couch on a Sunday night and couldn’t decide what to watch? Not because there wasn’t anything to watch, but because there was too MUCH to watch and never enough time to watch it! It seems that anyone can be a content creator nowadays--even YOU, Snowballers! Your challenge now is to create your own short film about love--filming it on location right here at the 4100 Bar. Make it SHORT! 30 to 120 seconds tops. Be CREATIVE in being able to tell a story in a short amount of time. There are five of you here, so assign a director, 2-3 Snowballers as actors, and a cameraperson to shoot it all on an iPhone. Use the provided pens and papers to outline and write a script. Think about what kind of story you want to tell. What do you want to say about love? Is it funny? It is heartbreaking? Is it poignant? How can you tell that story in a way that is clever and concise? Brainstorm with your fellow Snowballers. Next, think about your characters. How many are there? Are they in love? Are they not in love? Who are they to each other? Strangers? Lovers? Siblings? Friends? Don’t limit yourself necessarily to just romantic love, it can be any exploration of love in all its forms. Once you have a script written out, film your scenes in chronological order. Don’t limit yourself to just the interior of the bar, use the exteriors and street corner as well. Let the setting of 4100 and Silver Lake inspire your storytelling. Please be mindful of time--there is only a half hour before your next location! 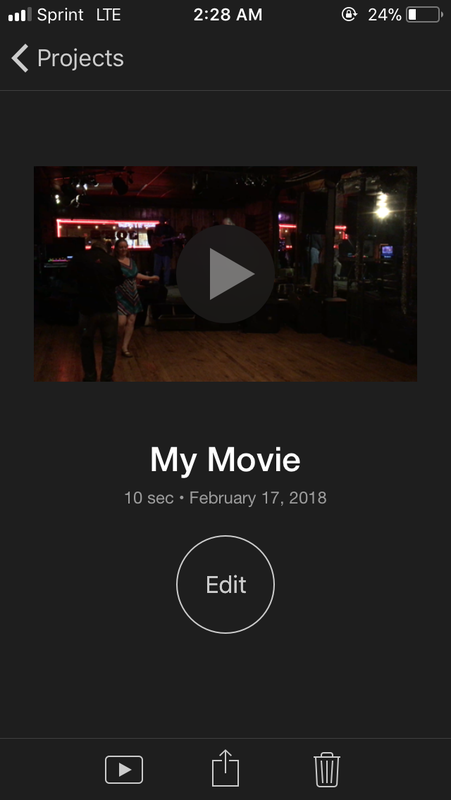 h. Your movie now complete! Use the center icon with the arrow to save it to your camera roll. And don’t forget to give your movie a title, Snowballers! Once you’re finished, share your movie with your team or upload it onto IG if it’s under 60 seconds and use #lasnowball!